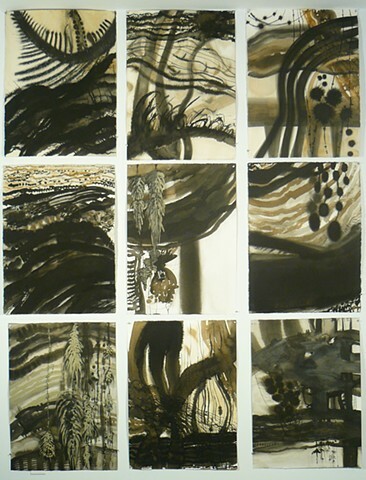 I made these drawings after watching the river rise and living through the flood from Tropical Storm Irene. I was thinking about everything floating in the White River, Vermont. Things I recognized, things I didn't, underwater, above water, different textures and surprising moments. They are made from walnut ink, (which I make), india ink, and flood clay.